Comatec, pioneer in premium disposable tableware. Created in 1994 by Jean Marc Fau, Comatec has been the only single-use packaging maker to offer high quality Injected PS tableware to French and International food professionals. This precursor concept helped the company win the Innovation contest in SIRHA 2003. 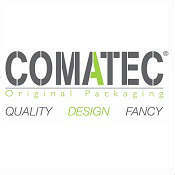 Comatec brand: top of the range and unprecedented products which combine quality and practicality. Furthermore, they all comply with the European regulation. Every year, Comatec innovates to enrich its ranges of products. New strong concepts: material, design, shapes, diverted uses etc. Comatec offers gastronomy professionals a wide range of possibilities on unexplored paths. One single watchword: creativity! Today, Comatec has become a must-have brand and is well known by famous starred chefs and other prestigious professionals.